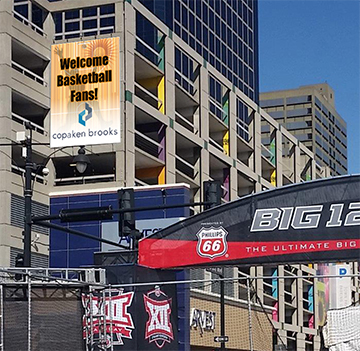 Signco Kansas City not only prints Large Format / Oversized banners, we also install them. Large Format banners are perfect for Concert venues, tradeshow advertising, building advertising, and many other large spaces both outdoor and indoor. Signco’s custom large format banners will be sure to get noticed! Sizes of 6’x6’ and larger. Extra-large banners will be sure to grab attention at your event or trade show.